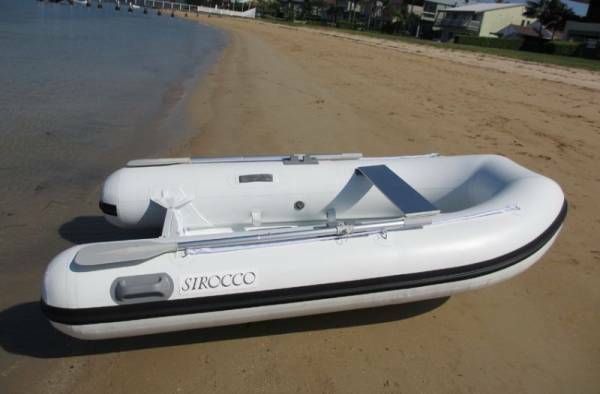 The Sirocco 310 Aluminium RIB is an ideal tender/runabout. 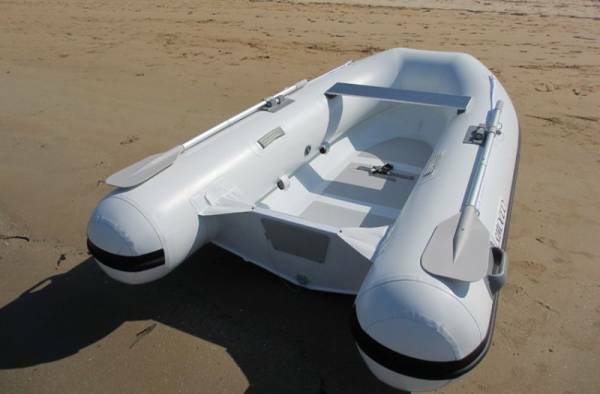 It is more than just a ship to shore inflatable. With a 10 or 15Hp engine the Sirocco 310 is a strong, practical, seaworthy vessel capable of those extra surf, dive and fishing trips. The Sirocco 310 has a relatively deep vee which gives a soft dry ride and good traction during turns. The characteristic sideways drift of most small inflatables is noticeably absent. At 58kg this boat is light considering the additional floor section. The internal flat floor provides significant extra strength and comfort. Other useful features are four lifting points, welded towing ring, rubber wear strip on hull, plus fuel tank tie down points. A separate underfloor anchor locker keeps things tidy and makes for an obstacle free entry and exit. Three hypalon (yes hypalon) air chambers finish this excellent value package. With a current list price of $4,200 the Sirocco 310 combines class leading quality with an affordable price. Load carrying capacity is excellent at 600kg although the speed performance drops off noticeably with more than two/three people onboard. Each person weighed approximately 80kg and the outboards were a 9.8Hp two stroke Tohatsu and a 15Hp two stroke Mariner.